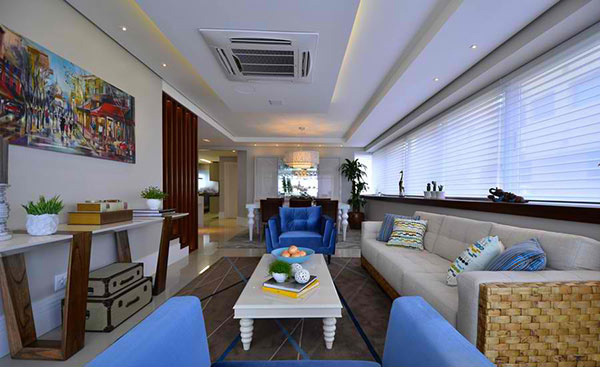 The interior of this house is just lovely because of the addition of vivid colors to the white and gray main colors. 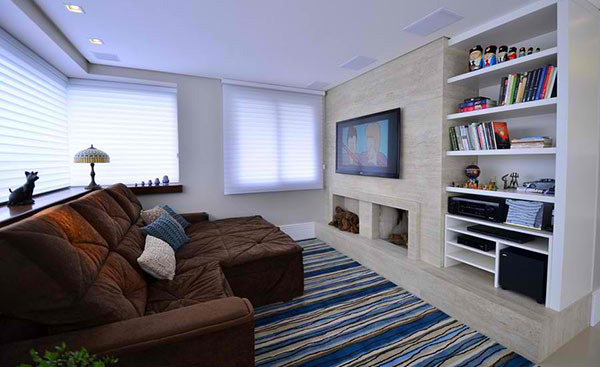 Aside from the colors, the design as well as the furniture and accessories placed in the house completes the appeal and comfort of the homeowners. You will see the powerful contrast of the interior achieved by employing furniture pieces and decorations in vivid colors. This duplex is envisioned by Juliana Baumhardt Arquitetura in Porto Alegre, Brazil. 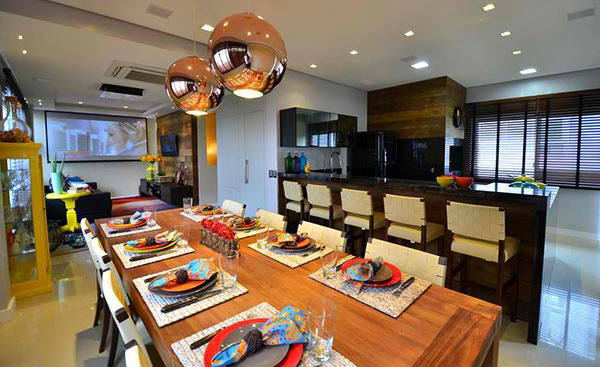 The open layout of the house includes a living room, dining space and kitchen. 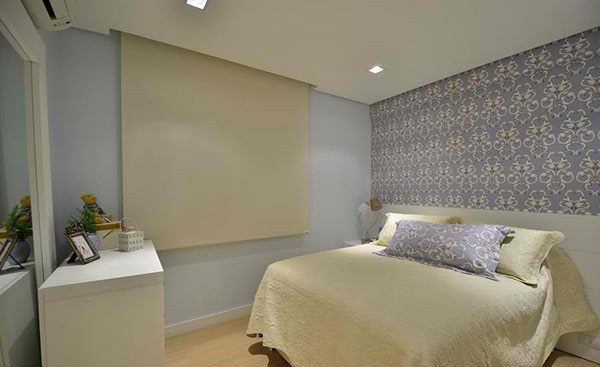 The sleeping area of the house use blue with gray shades. 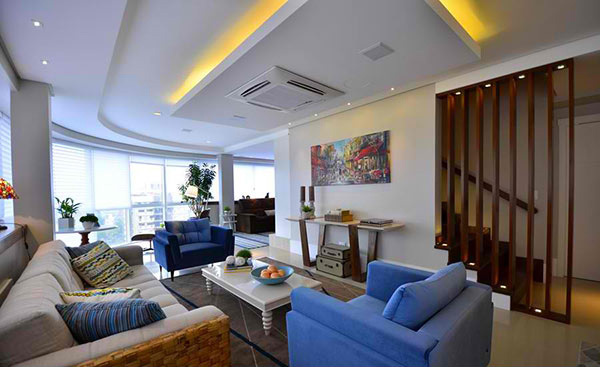 In the second floor, one would take a glimpse of a more relaxed, colorful and inviting, an ideal space where one could hang out with friends. The main asset of the house is the colors in it creating “a joyful and dynamic atmosphere”. The living room has pops of blue and others colors too. We love how the ceiling is lighted under it! Note the combination of styles in the interior from the furniture to the decorations. 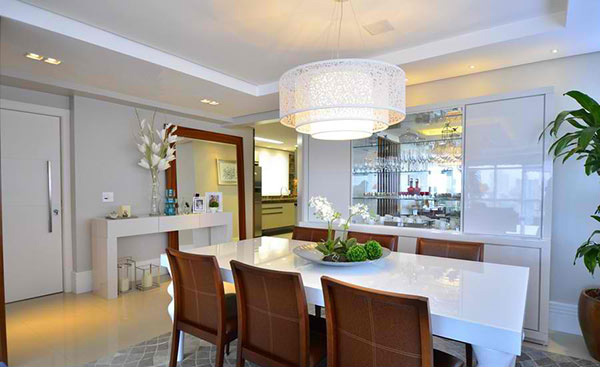 The dining area is just next to the living room and it boasts this lovely pendant light above the dining table. White surrounds the dining area with some brown colors from the chairs. We like how they added a mirror for the display area. This lounge area in the upper level is indeed serene and is perfect for reading time and for one’s private time. Striped carpet covers this space which is just a few steps from the lounge area we showed above. 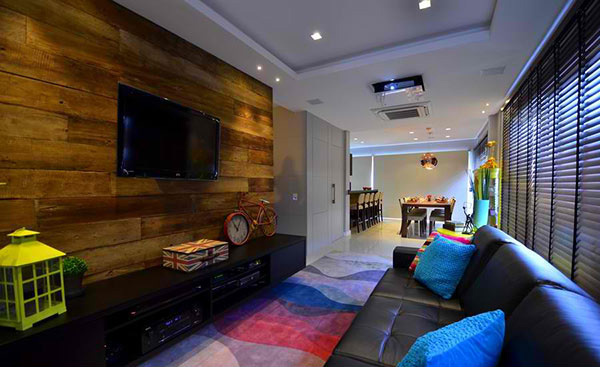 Of all the living spaces, this family room is our favorite because of the colors in it as well as its interesting decors. That Union Jack vintage case and vintage bicycle clock is really a head turner especially that they are placed against the wooden wall. A kitchen island is located next the this dining area with lovely pendant lights. 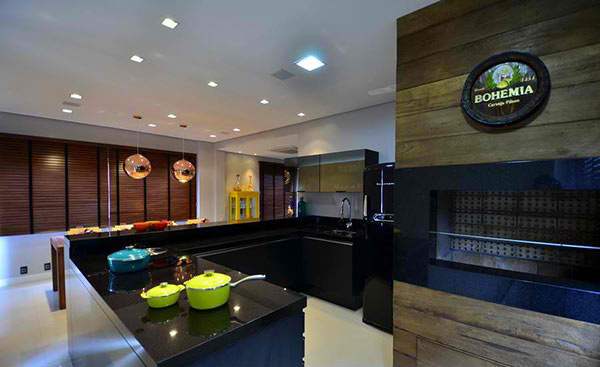 A closer look at the kitchen in black countertops. A simple bedroom that looks chic and neat. The patterns on the wall are a gorgeous addition to the bedroom. 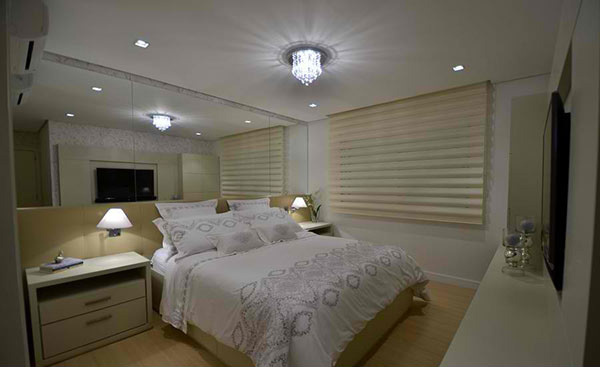 This is an elegant bedroom which is also designed minimally but yes, it looks very dashing! 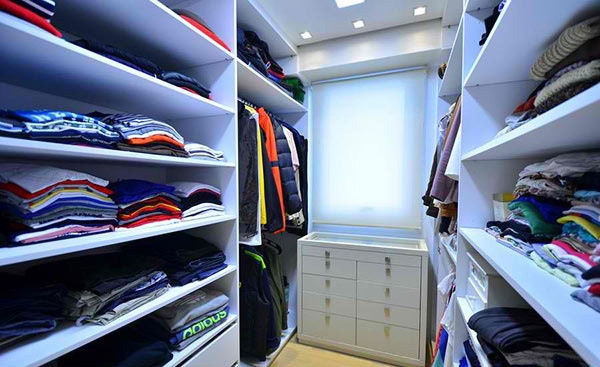 A walk-in closet that is a dream by every homeowner! 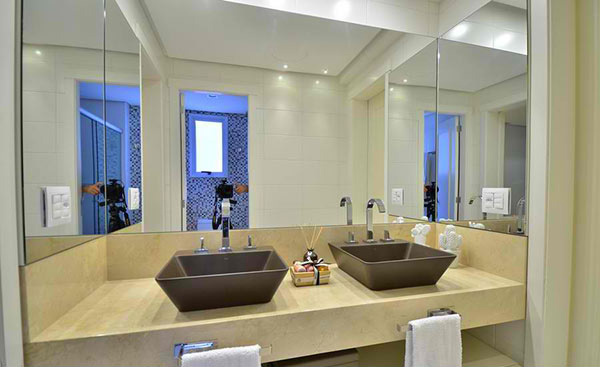 The powder room has two lavatories with a neutral shade. 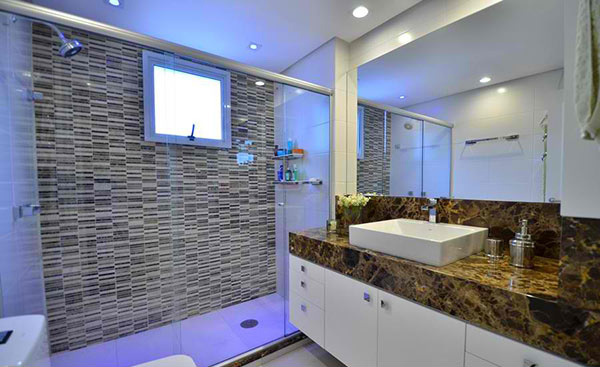 While this one has a noisier look with patterns seen from the wall to the countertop. 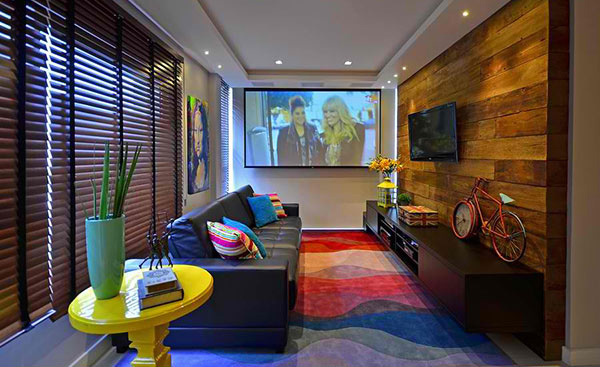 The Juliana Baumhardt Arquitetura really did a great job for the interior of this house. Like what they said, the colors are lovely letting this apartment stand out from the others. 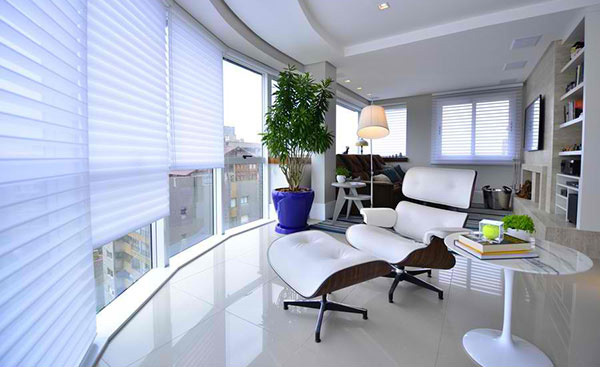 We also love how the house was designed in terms of lines and the choices of furniture. 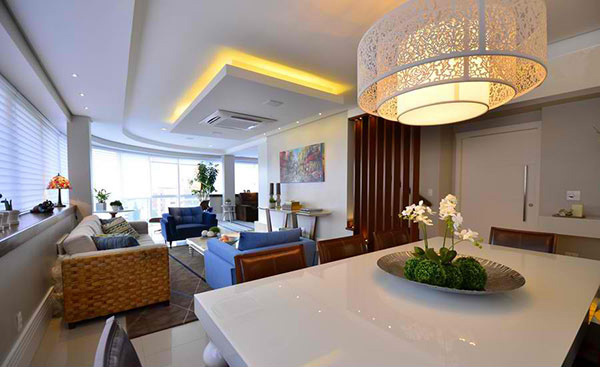 How about you, can you tell us what you love most in the interior of this apartment?